This post outlines how you can best setup Blogjet for use with ExpressionEngine. I’ve tried a couple of ways to set it up and have come up with the following approach. 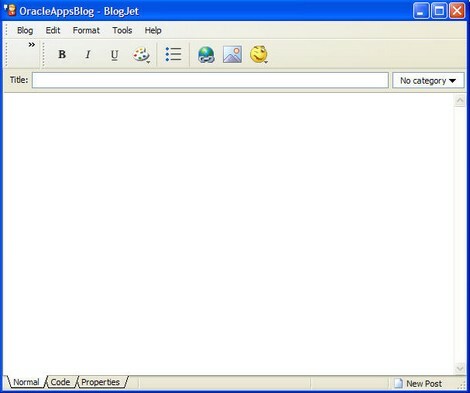 BlogJet is a weblog client for Windows that allows you to manage your blog(s) without opening a browser. ExpressionEngine is the blogging software that I use to host my blogs. If you would like to know how to setup Blogjet for use with Marsedit or Ecto then check out this post on the EEWiki. 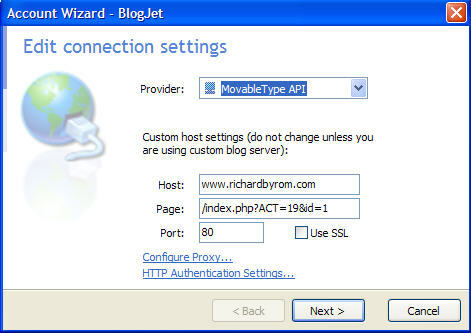 Firstly, download and install Blogjet. You will need to have installed the MetaWeblog API under the modules section of your ExpressionEngine blog control panel and take note of the configuration URL. Open C:|Program Files|BlogJet|apitypes.xml in text editor. Specify the MetaWeblog API configuration URL of your ExpressionEngine Blog. This is the user name and password that you would typically use to perform edits on your blog. Note this option will not appear unless you have carried out the steps I mentioned in the first section of this post. 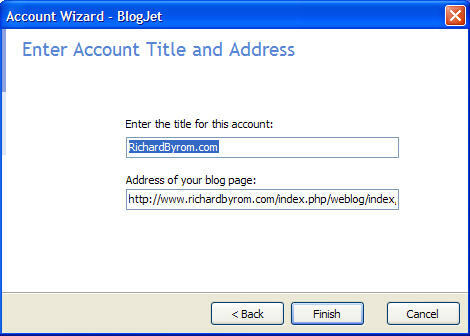 You should now be able to login to Blogjet and start composing your blog entry.